“Enduring” perhaps best describes stone and ceramic tile. Not only have these materials provided a surface for countertops, floors, and walls that endures heavy use for decades without the slightest hint of wear, but, as some of the earliest building materials, they are products that have endured the ages. 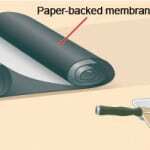 In fact, they’ve more than endured-they have been crowned as a surfacing material of choice over and over again. Today’s finest homes showcase stone and tile floors in their entries, living rooms, kitchens, bathrooms, and more. Stone and tile countertops and wall treatments remain a perennial favorite in kitchens and baths. Stone and ceramic tile products are available in a wide variety of materials, sizes, colors, and prices to fit every need. 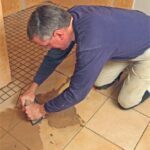 Both stone and tile are heavy, and certain types can be brittle if not supported properly. A successful stone or tile installation begins with a solid and flat substrate and ends with the right grout and finishing touches. Unless your floor has serious structural problems, you can probably install most types of floor tile or stone on it. Be aware that, because stone and tile flooring materials are thicker than vinyl tile and similar floor coverings, they do change the height of the floor, which you’ll need to address at the transition between rooms. 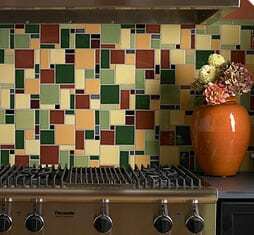 Wall tiles do not need to be as strong as floor tiles and so are often less expensive, and they come in a wider choice of colors. Today, however, people install just about any size and type of tile on a wall, including floor tiles. 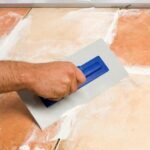 The articles in this section of HomeTips give you helpful advice for buying stone and tile products. They also provide do-it-yourself instructions for preparing, laying out, cutting, and installing ceramic and stone tile. Last but not least, they offer maintenance tips and walk you through easy tile and stone repairs.